Do You HAFTA Use NAFTA? The North American Free Trade Agreement (NAFTA) is a voluntary program. 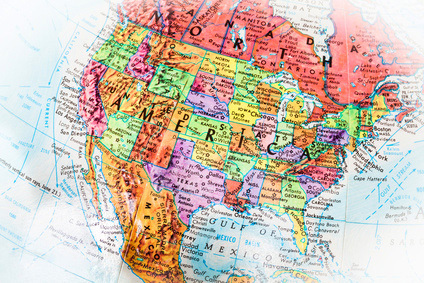 Importers and exporters within Canada, Mexico and the United States may opt to participate and, as a result, avoid duties on most goods traded within North America. It is the exporter who is responsible for validating that a good qualifies for participation under the program. (NAFTA uses the word originating.) If a good is eligible, the exporter generates a NAFTA country of origin certificate. Should an exporter or a producer who chooses to participate generate an incorrect certificate, the law will hold the exporter and any participating producer accountable for the misstatement. It comes as a surprise to some that an exporter and a producer have no legal obligation to participate in NAFTA. That is to say, NAFTA does not require an exporter to issue a NAFTA country of origin certificate if they choose not to participate in the program. To be sure, exporters may be compelled commercially to participate. Customers have a knack for being persuasive. Clearly, an importer would like to avoid any unnecessary duty payments. Why Would an Exporter Opt Out of NAFTA? The primary reason would be that the product is already duty free. As a U.S. exporter, how do you determine the duty status of a product? It starts, of course, with knowing the harmonized code for your product and then referencing the Canadian and Mexican tariffs. Let us look at an example and assume we are exporters of wooden framed exterior windows and doors classified under heading 4418 of the harmonized system. In the United States we refer to our import tariff, the HTS, which can be found at the U.S. International Trade Commission (ITC) website. We learn that the import duties on windows will be 3.2% and doors will be 4.8%. We can reference the Canadian tariff, available at the Canada Border Services Agency website. We find that, although the subheadings remain the same, the 10-digit Canadian classifications are slightly different. Window frames are dutiable at 6% while windows are dutiable at 8%. Doors of all kinds are duty free. The Mexican tariff is available through the Ministry of the Economy’s website through a program called Siavi4. Siavi4 requires a minimum knowledge of Spanish. You will discover that all products classified under heading 4418 are dutiable at 20%. In the above example, the exporter would likely choose to participate in NAFTA because most of their goods are subject to duties, except for one instance. Importing of doors into Canada is already duty free. In that instance the exporter may choose not go through the arduous process of originating the doors and choose not to issue a NAFTA country of origin certificate. Good point! The United States and Mexico charge user fees upon import. Mexico charges 0.8% while the United States charges 0.3464% (minimum $25 and maximum $485). NAFTA qualifying goods imported into the U.S. and Mexico are exempted from these fees. Canada does not charge user fees. In the example above, an exporter to Canada may still choose to opt out of NAFTA participation as there is no additional benefit to the importer. Are There Other Reasons for Opting Out? Certainly. Companies that understand the administrative burden of maintaining a NAFTA program may make the choice that it is too expensive to participate. Some companies find that even though their goods qualify, they barely meet the rules. These companies believe the costs and risks of non-compliance exceed the benefits of participation. Other companies choose to opt out for another very good reason: their products simply do not qualify under the NAFTA. That is to say, they should not have opted in the first place. This article, which was first published in July 2007, has been updated to include current tariff rates, import fees, and web links. Click here to see a sample of a completed NAFTA Certificate of Origin.